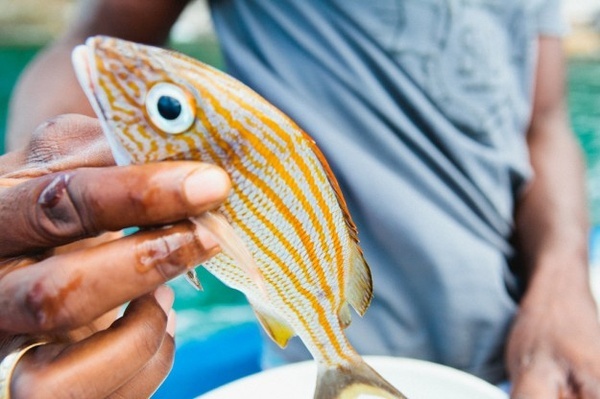 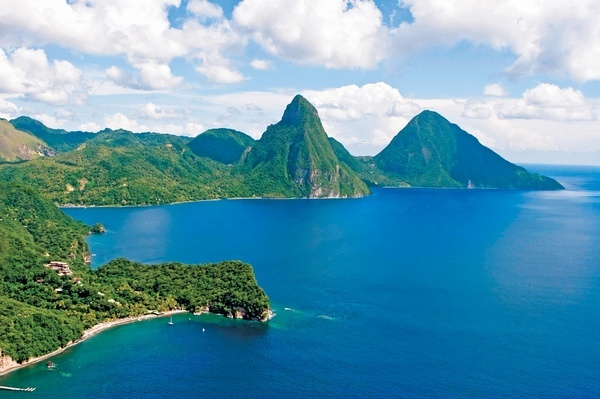 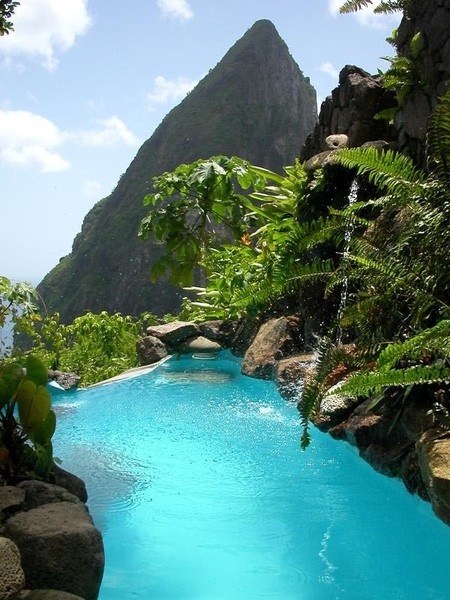 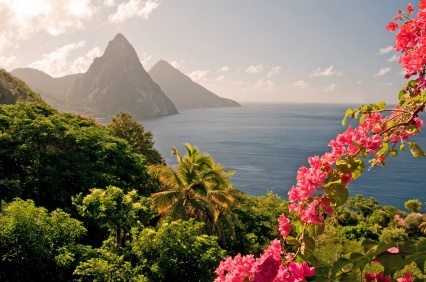 St. Lucia is an island nation in the Eastern Caribbean Sea, about 400 miles from the capital city of Venezuela. 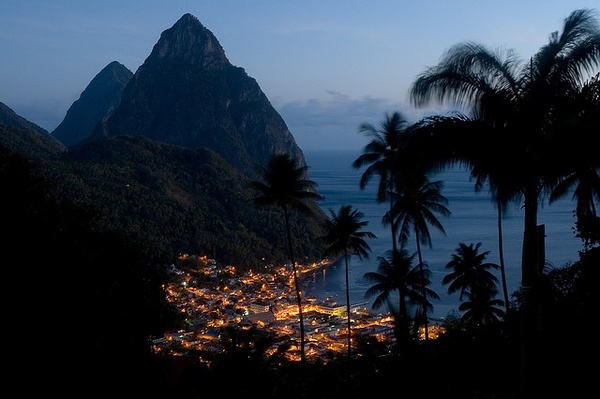 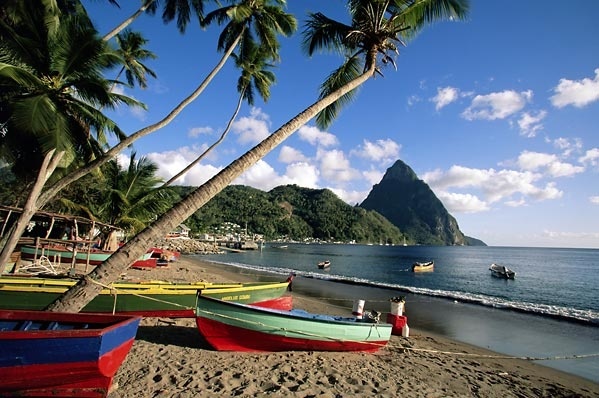 The island is known for it's amazing beaches, and is capped by the beautiful Pitons. 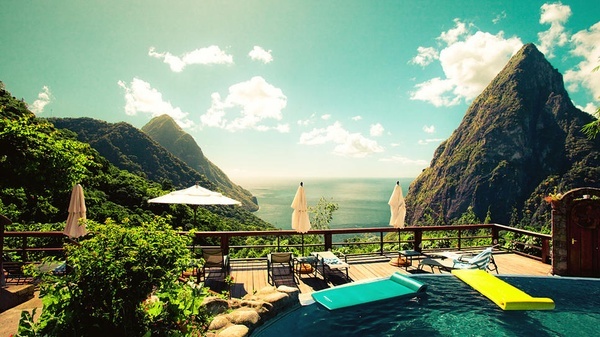 I'd love to go there and spend my days exploring the undersea oasis, relaxing on plush sand, and taking water taxis to various dining destinations. 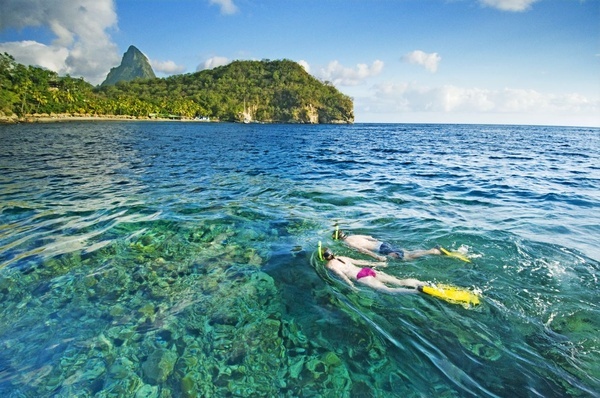 For photo sources, click on each picture.